Once you start looking at different Medicare Advantage (Part C) plans, you’ll start to see some differences in what’s covered and how much it costs. However, you also have to think about your healthcare needs. And, you need to consider what you want to be able to do with your Medicare benefits. The costs of a Medicare Advantage plan are typically less than that for adding supplemental coverage and paying for Original Medicare (Medicare Part A and Part B) premiums. But that’s not always the case, as this depends on your income. These costs also factor in how much you contributed to Medicare taxes throughout your work history. What is the monthly premium amount? How much is the premium after adding Part B premium to the amount? Are prescription drugs included? If so, are only generic drugs allowed? These questions are only a few that need to be answered when you first start comparing Medicare Advantage plans. MedicarePartC.com has a quick comparison tool that lets you check out different plans and compare benefits easily. For a more in-depth comparison of these plans, this online guide will walk you through each part of a Medicare Part C Plan. 1. What type of plan is it – HMO, PPO or PFFS? Most Medicare Advantage plans break down into HMO, PPO or PFFS plans. HMO means health maintenance organization. You must pick a primary care physician. You cannot see out-of-network doctors or facilities without paying out of pocket. In general, HMOs are less expensive than PPOs. PPO means preferred provider organization. You can pick your own doctors and medical facilities with these plans. And, you can also go out-of-network. These plans generally have higher costs if you do go out of network. PFFS means Private Fee-For-Service. Any doctor or medical facility can be in your network if they accept your plan. These plans generally cost a little bit more. Based on services, flexibility and cost, you may want to pick one type of plan over the other. This will narrow your search results greatly. HMOs are better if you are just trying to manage your health. But if you have a need for a specialist or want specific healthcare coverage, you should pick a PPO. 2. What does the Medicare Advantage Plan cover? Lastly, you should look at whether plans include prescription drugs, including the costs to include them, as well as what is covered specifically. You can typically find this information under plan details for prescription drugs or Part D. Typically, you pay a higher monthly premium if prescription drugs are included. Some companies just have a better report with customer satisfaction and overall history. In the health insurance field, it’s difficult to find a company without a blemish. With so many different customers, larger networks and providers generally have better company ratings. This is because they are able to provide 24/7 service, and they have a variety of hotlines to help you if you do need some assistance. They also generally have better account management options, including those online. You may find it difficult to search for plans online for a certain company. If so, it may be even more difficult to look at your policy and pay your premiums on time if they don’t have online banking. Customer satisfaction is another way to review different plans. Many companies have a satisfactory rating on MedicarePartC.com. Regardless, it’s always important to read reviews from actual people and look for issues that repeatedly appear. Some companies don’t have it all worked out yet. They may not be reliable when it comes to your healthcare needs. 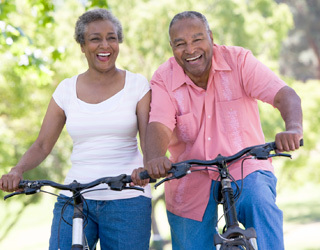 One thing to remember is that you are still protected by Medicare with Medicare Advantage. This means you still receive the same rights and protections as other members with Original Medicare. 4. How much do Medicare Advantage Plans cost? Part B Premium – You still pay your Part B premium if you have one when you get a Medicare Advantage plan. Monthly premium through Medicare Advantage – These premiums can be nothing or go up to over $100, depending on the provider and plan. It’s best to see the benefits of each plan and what’s included before deciding on what to pay, in addition to the Part B premium. Deductible – Plans will tell you what type of deductible comes with the plan. Typically, these are $500 to $1,000 depending on the plan type. However, they could be lower or nothing at all. Coinsurance or copays – Some plans will have higher copays and will also cost more if you go out of network. You should pick plans with the lowest copays as possible. Preferably, you shouldn’t have to pay any type of copay to see your doctor. Out-of-pocket threshold – Most private health plans protect you against spending too much per year out of pocket. Some thresholds are at $3,000, while others go as high as $6,000. You definitely want to be able to limit your out-of-pocket costs as much as possible. One of the main factors in comparing Medicare Advantage (Medicare Part C) plans is which one provides a prescription drug coverage plan . These plans should cost as little as possible. But many providers charge over $100 for this supplemental coverage. If you need prescription drug coverage, you should make sure that your plan has prescription drugs covered. And, you should ensure that the costs are not too high for generic and specialty tier drugs. Each plan should give you a breakdown of what prescription drugs are covered. When you compare different Medicare Advantage Plans, what is the most important factor (or factors) for you and your healthcare needs? For instance, if you know that you will need one doctor for a long-term care situation, then an HMO may be the best deal to go with. If you would prefer being able to seek out your own doctors and having more control, PPOs and PFFS plans are both viable options. As always, you can compare plans on MedicarePartC.com and check out different benefits, prices, types of plans and prescription drug coverage. If you have any questions about what you find on MedicarePartC.com, you can always call (888) 228-MEDI (6334). Or, you may want to check out this website, HealthNetwork.com, for a variety of Medicare Advantage plans. [Disclaimer] By submitting your information you agree that Vertlinks may contact you at the above-listed phone number with a pre-recorded message to verify your interest in receiving quotes. You will have the opportunity to opt out of receiving future pre-recorded messages from us. You consent to receive autodialed calls and emails from or on behalf of Vertlinks, agents, and carriers at the telephone number and email address you provided above. Receiving quotes through our website is always free and you are under no obligation to purchase any goods or services as a result of this request. You understand that consent is not a condition of purchase and you may also receive a quote by contacting us via phone.